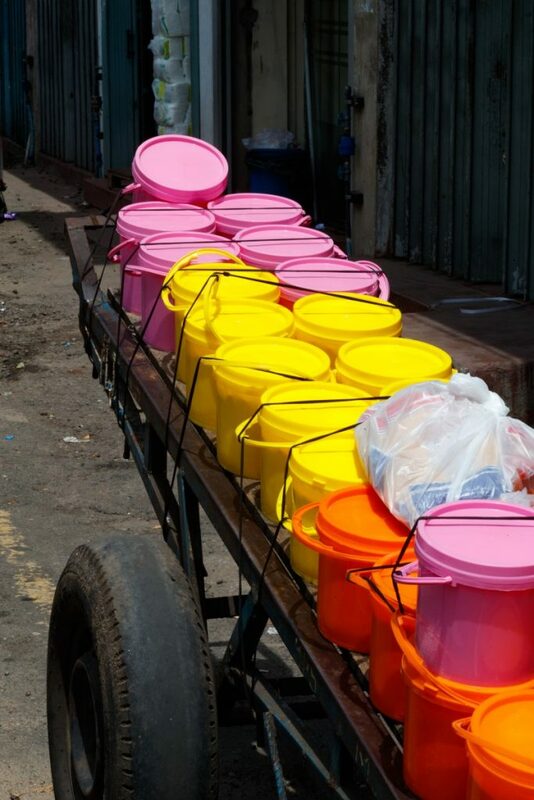 Pettah is the mother of all marketplaces in the whole of Sri Lanka. 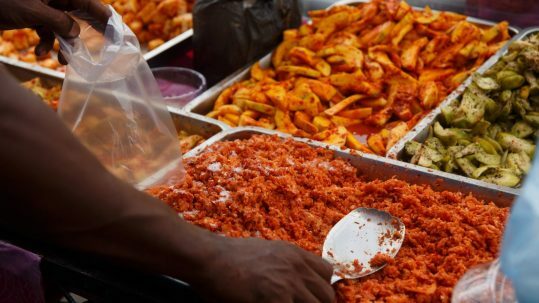 In this loud, crowded, chaotic potpourri of ethnicities, you can find pretty much anything you need in any size or shape you want. 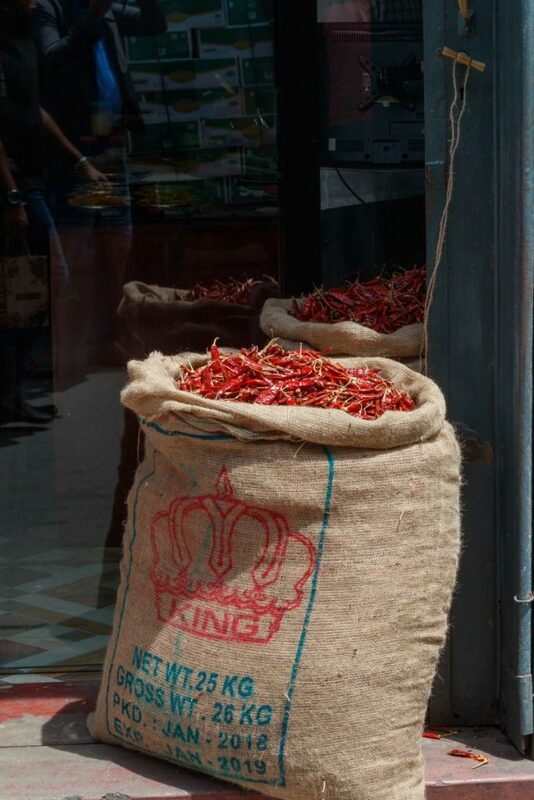 Spices, electronics, shoes, sunglasses, vegetables, tea, you name it. 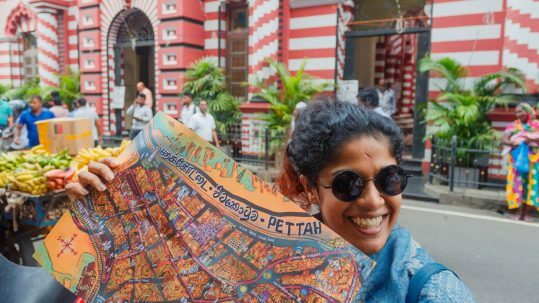 If Pettah is the nerve centre of Colombo, the Natamis are its lifeblood. 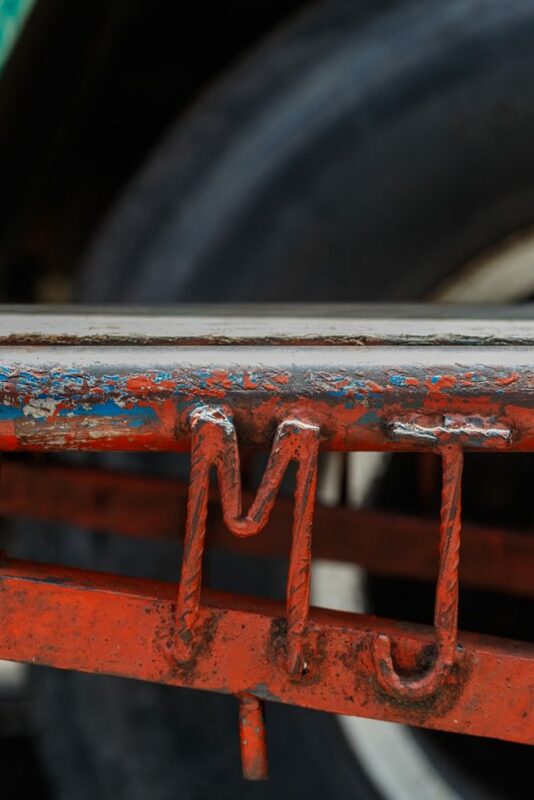 These hardworking men, with their narrow carts and loud voices, are the thriving market’s logistics network. 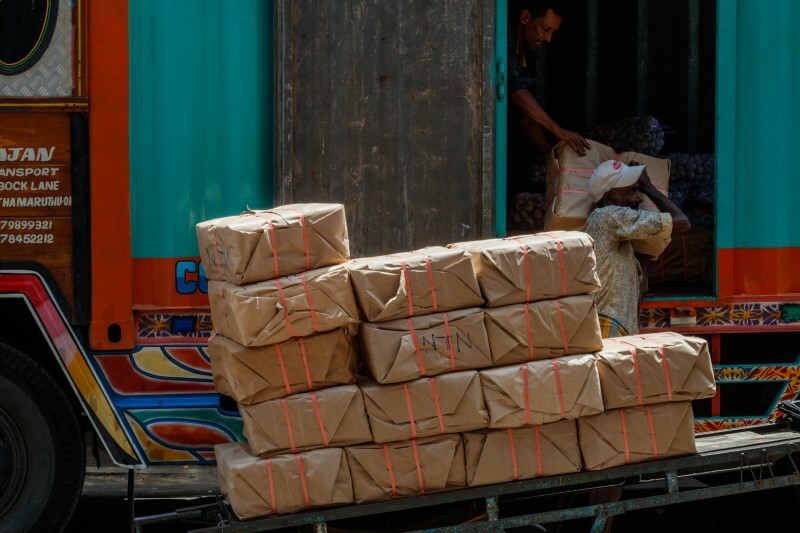 They transport goods through the narrow, crowded streets with remarkable efficiency to ensure that the wares get where they need to be on time. 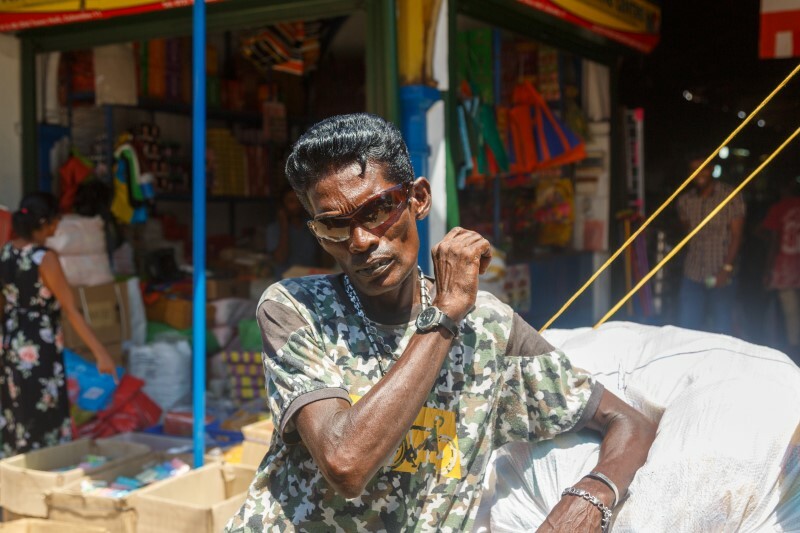 We ventured into Pettah to meet two Natamis on their rare day off: Michael and Manikku. 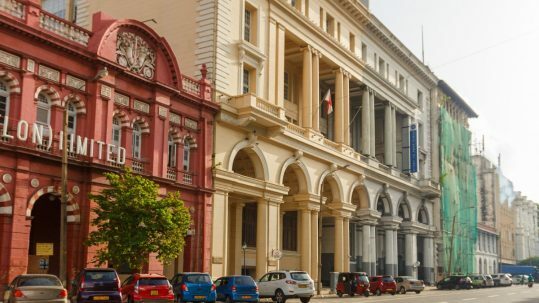 We find Michael near Dam Street – also known as spices street – and Manikku’s home base is the Old Town Hall in the centre of Pettah Colombo. Everything in Pettah operates on trust and loyalty. It may look like chaos but it has an ingrained and intangible system that holds it all together. The two men couldn’t be more different. 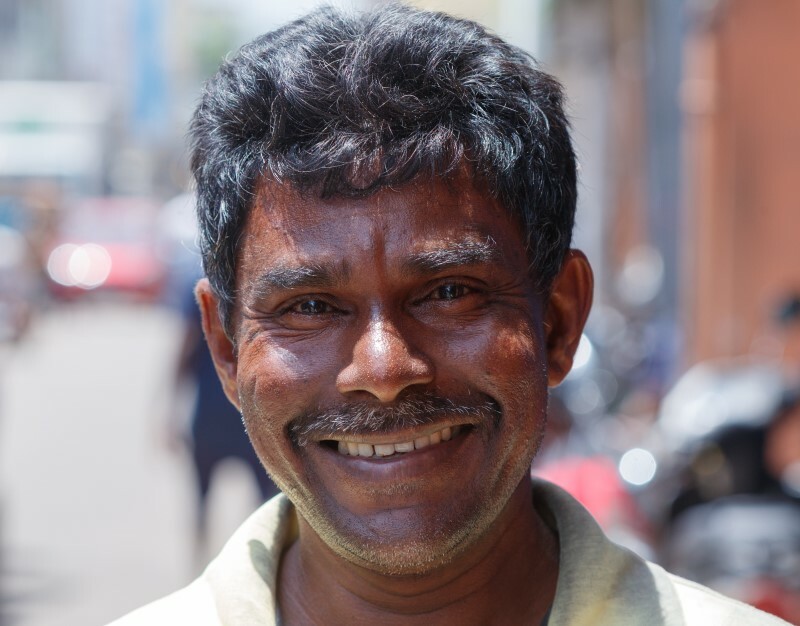 Manikku, 48, is somewhat of a celebrity in Pettah, some might even call him a legend. No stranger to the limelight, he has already made several appearances on national TV and is becoming a well-known face on social media, as increasing numbers of travelers seek him out in the Old Town Hall marketplace. Michael Raj, 52, on the other hand, is a taciturn, unassuming man. Manikku and Michael are two of hundreds of men who ply their carts through the streets on a daily basis to earn an income of Rs. 1500-2000 a day. The Natami evolved as an organic response to the narrow, congested streets of Pettah where vehicles were simply not a feasible option for transporting goods. Many Natamis inherited their trade from their fathers, and lay claim to a long and proud heritage in this market town. Despite the heavy labour and sometimes gruelling conditions, Natamis make a decent living. 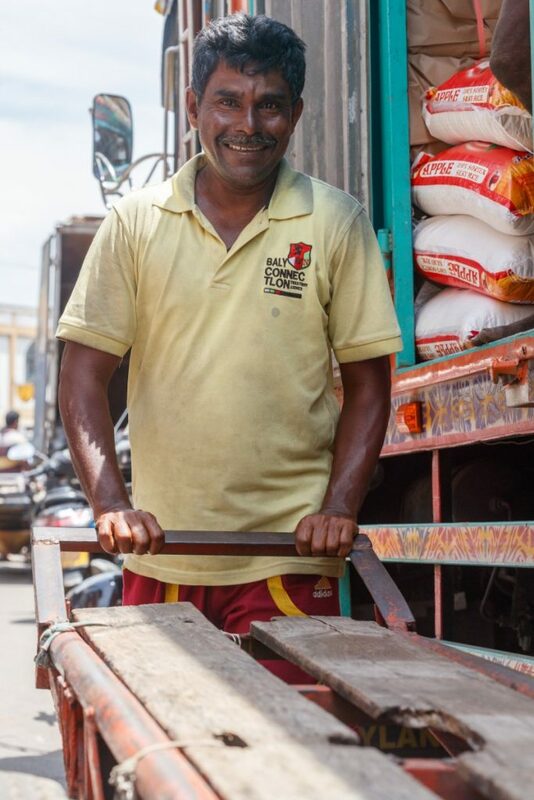 ‘I start working in the mornings at around 7, I carry out the purchase orders of my clients from outside Colombo, I load their goods onto trucks and lorries and make sure they get there safely,’ says Michael. Michael and Manikku entered the trade about the same time, when they were teenagers. That was over 25 years ago when Natamis were plenty. They take pride in their profession: ‘I like this job because it makes me feel free, there is no need to sign in or out from work, nor report to anyone. It’s still a struggle though, the life we lead is like fighting a war, every day is a battle that must be won’ says Manikku. The mobile phone has been a huge boon to Michael’s income. ‘Before I got my cell phone, I mostly worked for local traders, loading and unloading their goods, now I can maintain networks across the country and work for clients without them having to be here’. Manikku is more old-school, he abhors technology ‘if my god didn’t need a cell phone then why do I?’ Which means that to track him down must necessarily involve a personal trip to the Old Town Hall market, where he can usually be found. If you don’t see him, just ask around and anyone will tell you where to find him. 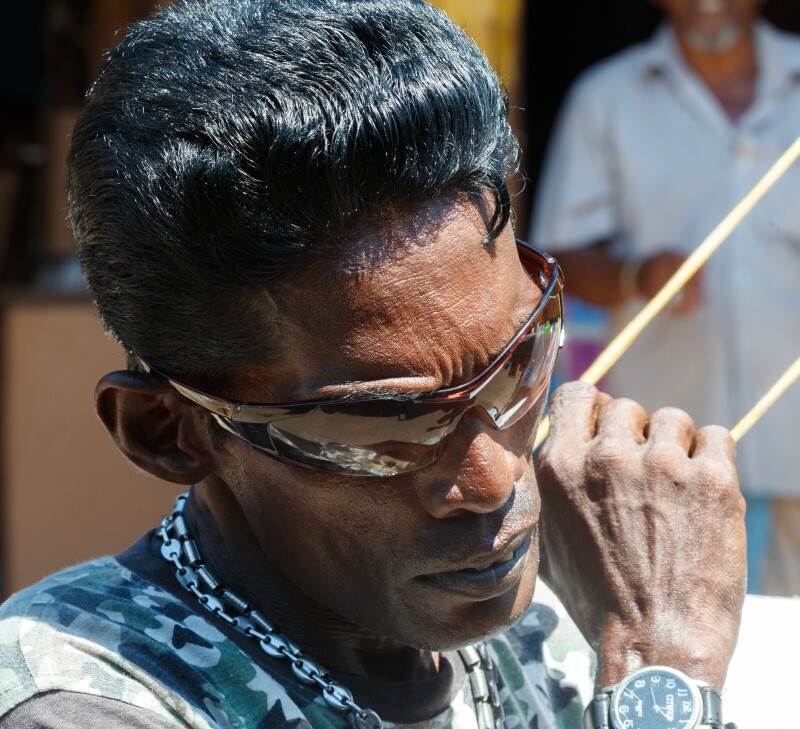 Many people know Manikku as MGR, the late, famous Sri Lankan born South Indian actor he models his life around. ‘When I was a young boy, my parents had a shrine at which we would worship a picture of MGR. My mother said that he was an ‘uncle to the whole world’ he says of the actor, whose heroic generosity made him a legend both onscreen and off. One day little Manikku’s parents finally gave into his begging and took him to see a film in which the great man starred. That day marked a turning point in his life. He decided then and there to model himself along personality of his adopted god. ‘The things I spend most of my money on are clothes,’ he says with pride, adding that he only patronizes the most skilled tailors capable of designing clothes to his very specific requirements. Posing for the camera has become a well-oiled routine for MGR, he sets up his Natami cart in a prominent location, and then strikes practiced poses, bringing into poetic fusion the dual images of street laborer and silver-screen demigod. ‘They call me the millionaire Natami,’ says Manikku. Looks aren’t his only forte, in another life Manikku could have been a philosopher. He can endlessly wax lyrical on his thoughts on morality, politics and life in general. Fame sits with him quite well, in fact, he appears to take it completely in stride, as if it were his birthright. He loves his fans and lives by a rule ‘people who respect us must be respected reciprocally in turn’. Michael cuts a more modest figure, he never married, and lives with his mother’s younger sister, to whose family he contributes a share of his earnings. He doesn’t drink, doesn’t smoke, and tries to save at least a quarter of his daily income for when he can no longer work. Everything in Pettah operates on trust and loyalty. It may look like chaos but it has an ingrained and intangible system that holds it all together. Everything is so close, everyone knows each other. Even the Natami profession is unionised, and has a largely amicable relationship with the traders’ organisations of Pettah. As with any good relationship though, sometimes there are problems. 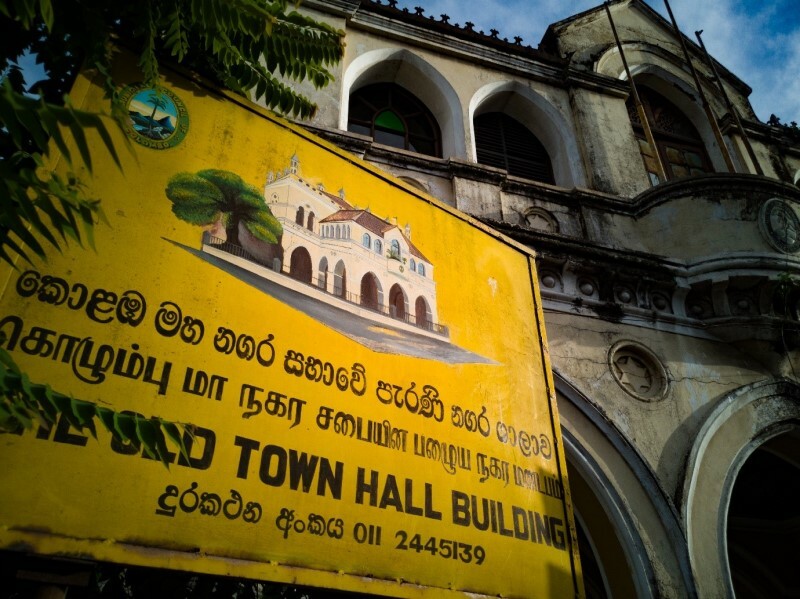 The year 2000 saw the Natamis stage a strike in demand of higher wages which only lasted half-a-day yet ended up costing millions of Rupees of losses for the traders of Pettah. But the times, along with the economics of Pettah, are changing. And the role of the Natami is being affected accordingly. 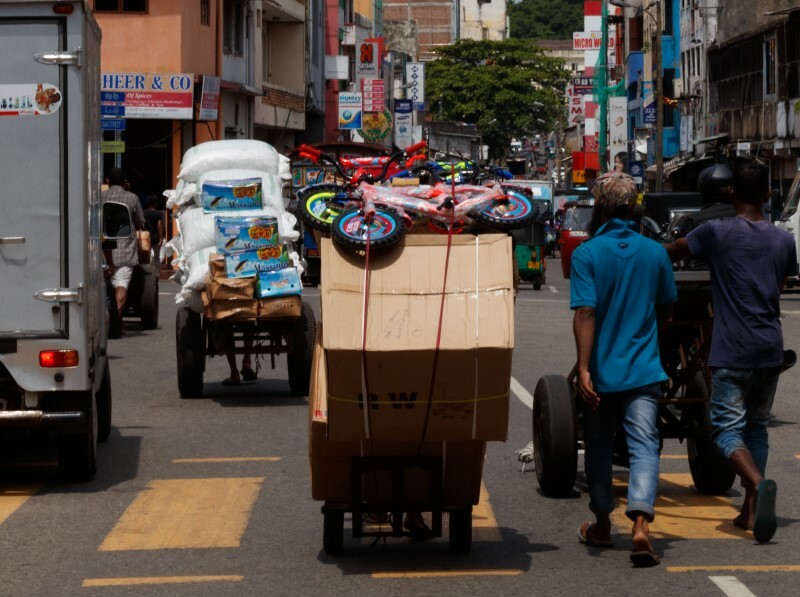 With many of the warehouses and factories moving out of Pettah, and more and more roads opening up to allow better access to vehicles, the role of the Natami is becoming less crucial. The profession still hangs on, but Natamis today are a dying breed. 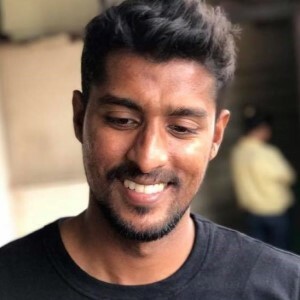 It may be that the current lot – including Michael and Manikku – will be the last of the true Natamis to work in Pettah. Want to meet Michael and Manikku? 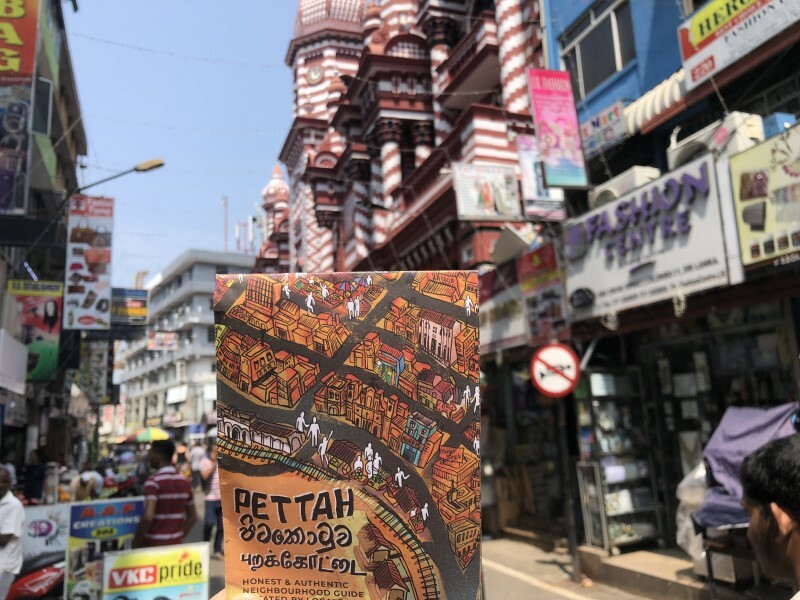 Find all these local eateries and much more in the iDiscover Colombo Guide with 4 handcrafted itineraries that bring you the honest and authentic in the city’s most historic neighbourhoods: Pettah Colombo, Fort, Cinnamon Gardens and Slave Island. Comes with a free navigational app, so you can get lost without getting lost. 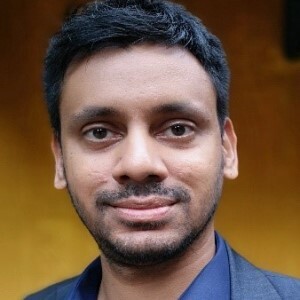 Halik is a visual artist and writer who uses everyday life in Sri Lanka as his inspiration. He likes to spend as much time as possible walking the streets and encountering the unexpected. Find him on Instagram @colombedouin.